Mini and micro Hi-Fi systems — known as stereo systems — are a convenient way to play music in your home or office. We explain the components of mini and micro Hi-Fi, and outline what to look for when buying a new system. What Is A Hi-Fi system? 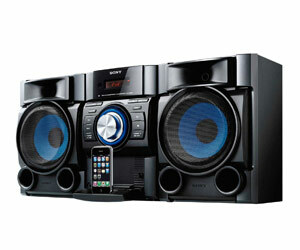 Audio source – This can be a CD player, a radio, an iPod dock, cassette player or a turntable. Most Hi-Fi systems will contain two or more of these. Amplifier – This controls the volume and balance of the music. Speakers – Most Hi-Fi units will have two speakers – to provide stereo sound – but some more sophisticated systems can contain up to seven speakers, similar to a home theatre set-up. Micro Or Mini: What Is The Difference? Micro Hi-Fi systems are small, compact units suitable for a lounge room or office space. They often include a CD player, AM/FM tuner and sometimes an iPod dock. The speakers will be less powerful, often ranging between 10 and 30 watts per channel. 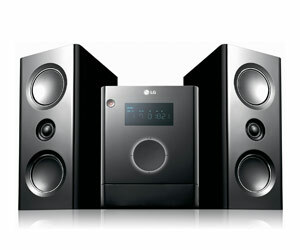 Mini Hi-Fi systems are larger set-ups suitable for a larger house or for use in public places. They may include a multiple-disc CD changer that can change between three-to-five CDs. The speakers will also be more powerful, ranging between 30 and 100 watts (W) per channel. Some mini systems will include a separate subwoofer to enhance bass (lower frequency sound) reproduction. Both mini and micro Hi-Fi systems will have speakers, but the audio sources included will vary between models. The necessary components of an audio system will depend on what you want it to do. What Can Be Played On A Hi-Fi System? CDs - Nearly all Hi-Fi systems will include a CD player that will play most CDs, including CD-R and CD-RW format. Most systems these days will also include MP3 playback, so if you have CDs containing audio files from your computer, the system will be able to play those. Radio - Most Hi-Fi systems will include an AM/FM tuner. iPod - Some Hi-Fi systems will include an iPod docking station. This allows you to play your iPod through the stereo speakers, and may also charge your iPod while it is docked. MP3 player or USB drive - Some systems include a USB input, which means you can connect your MP3 player (or iPod) for playback through the speakers. If the system also features MP3 playback, you can copy audio files from your computer onto a USB flash drive and play them through the stereo system. Audio cassettes or LPs - Some Hi-Fi systems will feature a tape deck to play audio cassettes, or a turntable to play vinyl records. Since these technologies are less common these days, Hi-Fi systems with this capability will also be rare. You may need to purchase separate components and build a system yourself to play from these audio sources. What Else Should I Look For In A Mini Or Micro System? Output power (watts) – A total output of 20 watts (W) is enough to produce clear sound for an average-sized living room. If you want your music to be audible throughout a larger house, you will need up to 100 watts (W) total output. Some systems will list power output per channel (most systems have two channels), while others will list total output. DVD playback – Some Hi-Fi systems include DVD as well as CD playback. Hi-Fi speakers produce better quality sound than television speakers, and include a separate amplifier which gives you better control over the volume. A sound system with a DVD player is useful if you want quality audio in movies, but don't want to spend a lot of money on a home theatre system. Radio presets – This allows you to save a number of radio stations as preset channels. This is useful for switching between your favourite stations, without having to tune to the specific frequency.